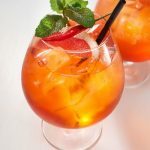 Are you offering your customers the Hottest Breakfast Trend in North America? 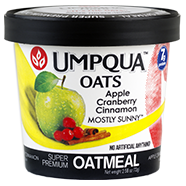 All Natural, Super Premium Whole-Rolled Oatmeal to go! 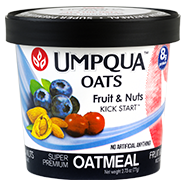 Kickstart your morning with this super premium blend of fruit and nuts, including anti-oxidant rich wild blueberries. 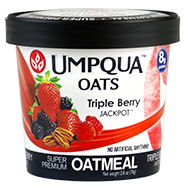 It’s simply Oatmeal perfection! Blueberries, cranberries, sunflower seeds and more! 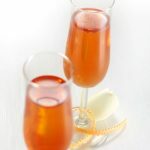 This blend of berries and pecans will “hit the Jackpot” with a big, juicy flavour reminiscent of old fashioned cobbler. We’re betting you’ll love it! Raspberries, blackberries, strawberries and pecans! 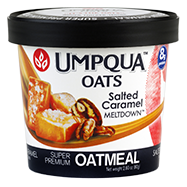 Salted Caramel Meltdown is blended with caramel, pecans and a hint of sea salt… it’s sure to make you melt. Caramel, pecans and sea salt! A mix of Granny Smith apples, cranberries and raisins is sure to brighten your day. 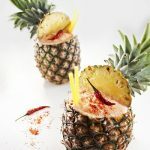 This “fruit-only” blend captures a variety of Pacific Northwest flavours. Apples, cranberries and raisins. This one is NUT FREE! Clean eating for a clean conscience! 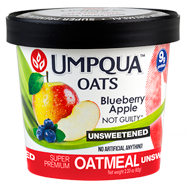 This unsweetened oatmeal is packed with Granny Smith apples, antioxidant-rich wild blueberries, organic flax and chia seeds. Blueberries, apples, flax, chia and no added salt or sugar! Treat yourself to a Canadian flavour explosion! Golden maple granola, fire roasted pecans and premium maple syrup. How can you go wrong, eh? 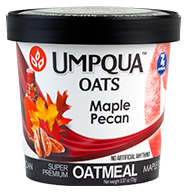 Granola, premium maple syrup and fire-roasted pecans! 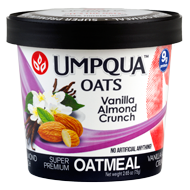 A classic combination of almonds, vanilla, honey and granola that does not disappoint. Your new favourite start to the day. Almonds, vanilla, honey and almond cluster granola!